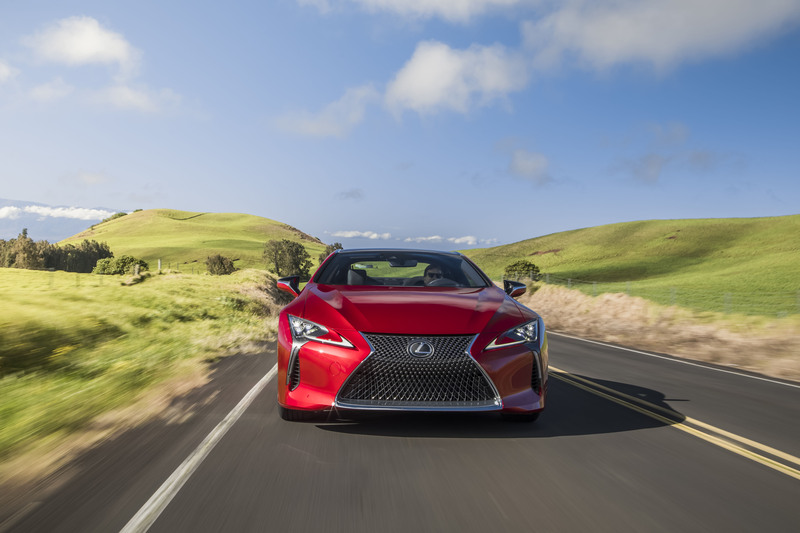 In a world where luxury brands have all embraced the SUV, here’s a chewy little morsel from Lexus: We count not one but two premium coupes on their current roster, with the RC joined by the flagship LC. 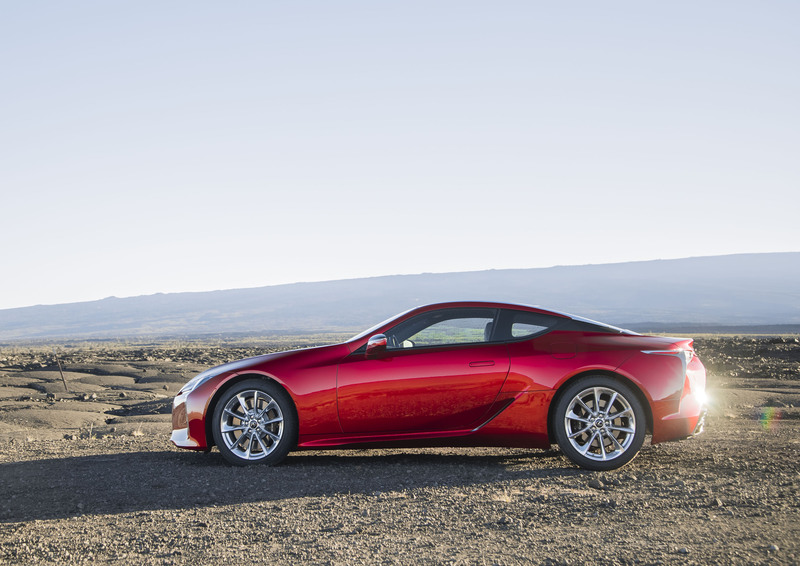 The LC comes in two distinct flavors, the V8-powered, dino-fueled LC 500 model as well as the LC 500h hybrid model. 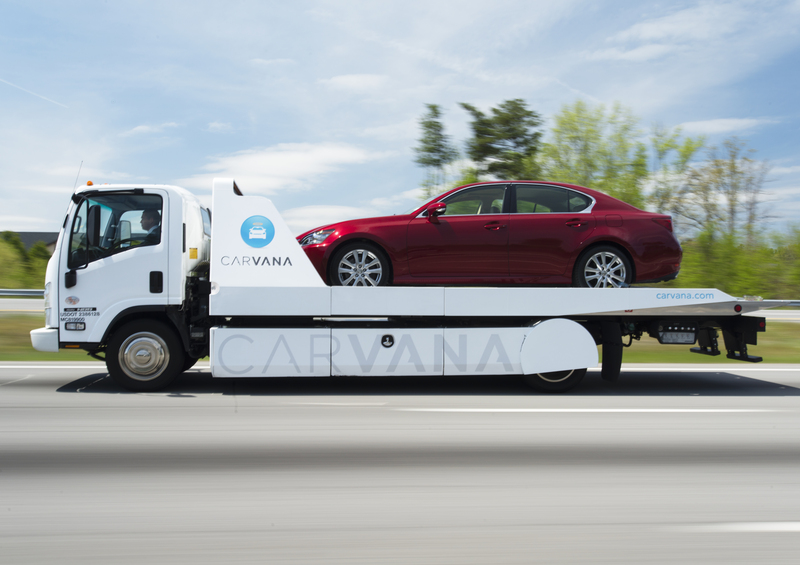 The gas model features the engine up front and the drive wheels out back–the way that it should be, amirite? 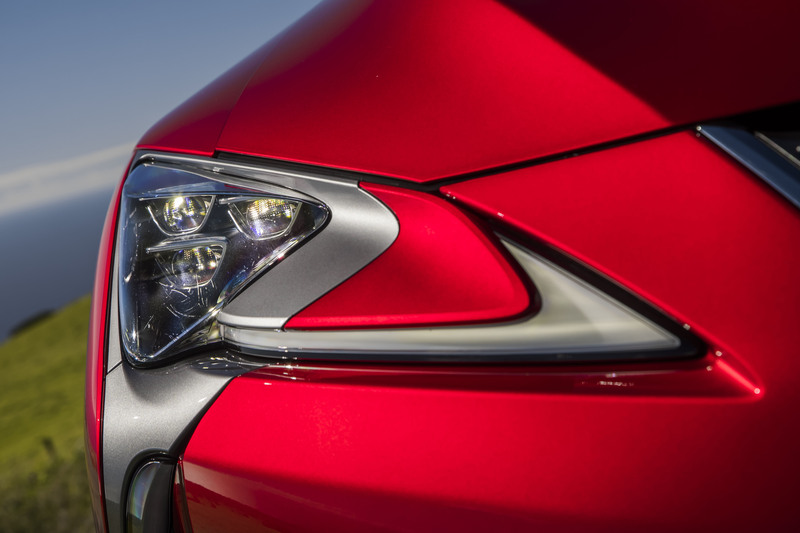 This time we spent a few days with the LC 500. Some figures to whet your appetite: 471 horsepower, 398 lb.-ft. of torque, 10 speeds, 15.7-inch front rotors and 275mm-wide rear tires. Some more numbers to consider: a base price of $92,200, while ours stickered at $105,940 after options and shipping. The RC left me a little lukewarm. 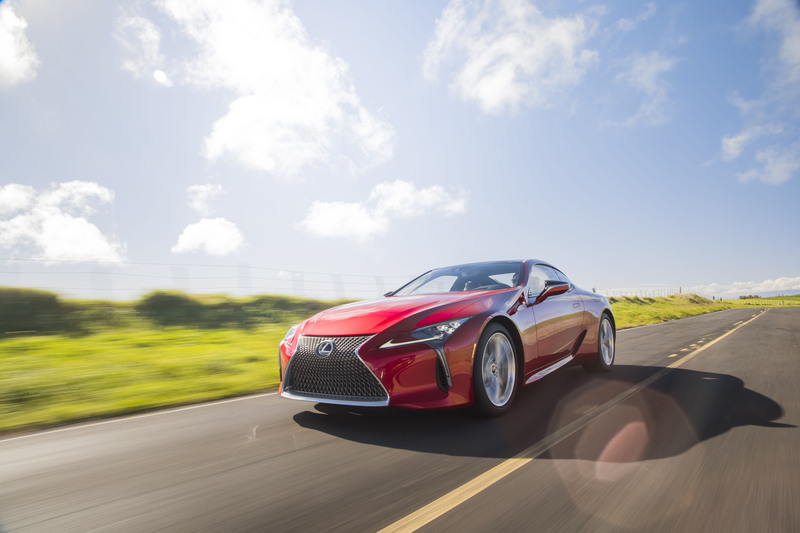 Yeah, it’s fast, eye-catching and also features V8 power, but the LC is the actual delivery of what the RC promises. Okay, true, the LC costs like twice as much, too, but where the RC sent me looking at other options, I could live with the LC and be happy. 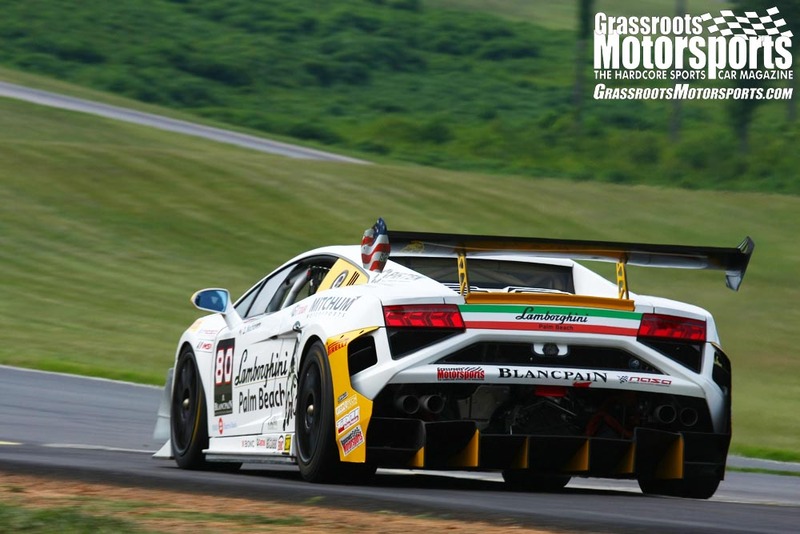 (We’re assuming that I’m in the market for a six-figure GT.) 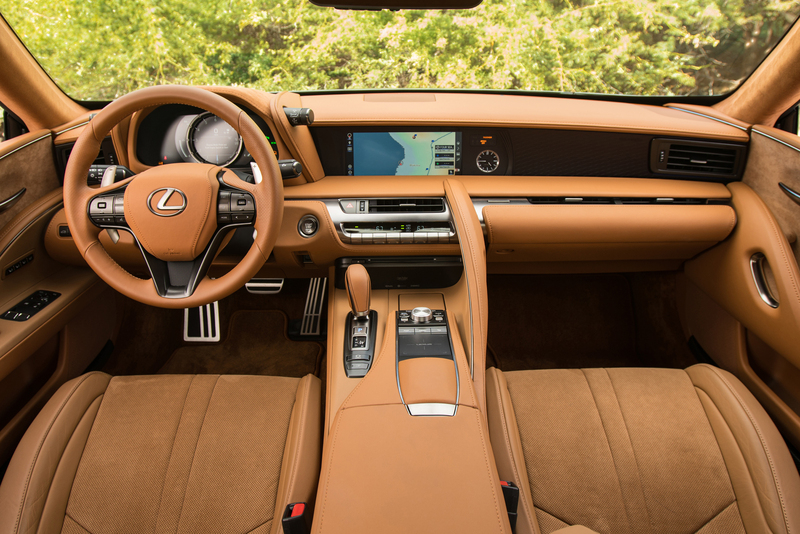 The LC delivers a comfortable ride, an upmarket interior, all the performance you’d need on the street, and head-turning looks. If I had to pick one tiny nit, the controls mounted to the gauge hood look a little tacked on. Believe me, I feel like an idiot for mentioning that little thing. So, the big question: This or something from Germany? Love to hear your thoughts on that. Is that the same 10 speed used by the Mustang/Camaro/etc? Not that I can afford one, but I love that Lexus is still building stuff like this. I'm pretty sure that this 10-speed is a pure Lexus design, and no the Ford/GM joint 10-speed. Nobody seems to care about the 500h even though I suspect it is roughly as good of a car as the regular 500. Even though the 500h is also a 10 spd, it is not the same trans. It is a two stage transmission that has a HSD (toyota hybrid trans that acts like a cvt) in series with a 4 spd conventional auto that together can simulate 10 fixed ratios. What i wonder about this new trans is whether it's now beefy enough to hold up to the big v8 engine. 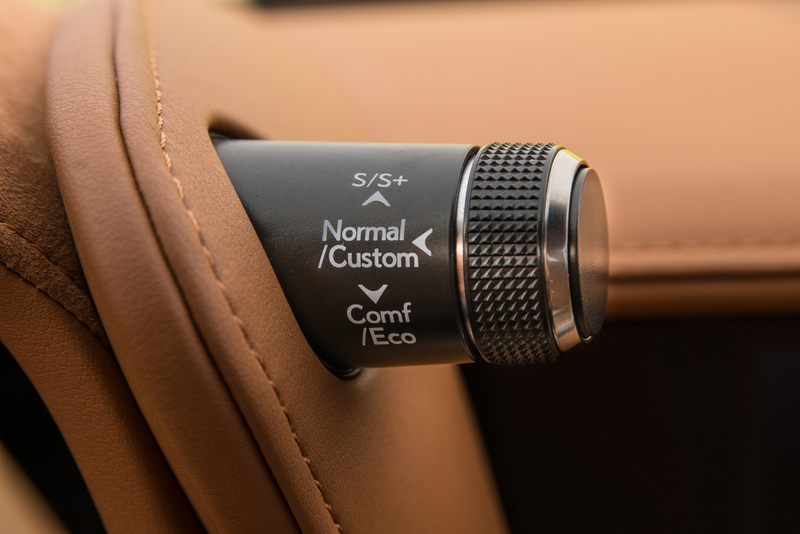 Lexus did put their older 5.0 in front of the old ' 2spd hybrid cvt' in the LS600h, but it was pretty severely de-tuned in the sense that it wouldn't allow the V8 to rev to its upper range until 60mph or later. If the new hybrid trans can take the v8 it would make for a pretty interesting LC-F. Something like 530hp and around 600 peak torque, if it wasn't detuned for one reason or another. looks cool from the back and the side. 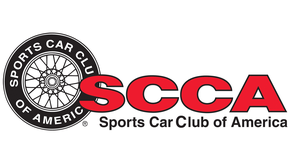 I can see some nods to the old SC300/SC400, but can't pinpoint where. The corporate grill kind of ruins the look. There is literally nothing it looks good on IMO. Is it available with a M/T? I think it looks fantastic. I love the clean lines. As others have mentioned, the grill could be better, but nothing is perfect. I'm not a GT kind of person, but I'm glad to see someone producing this kind of car. We seem to be moving further away from cars as pieces of art and more towards cars that are the results of the mean design approved by focus groups. This car moves the trend back in the right direction. Nobody seems to care about the 500h even though I suspect it is roughly as good of a car as the regular 500. Even though the 500h is also a 10 spd, it is not the same trans. It is a two stage transmission that has a HSD (toyota hybrid trans that acts like a cvt) in series with a 4 spd conventional auto that together can simulate 10 fixed ratios. What i wonder about this new trans is whether it's now beefy enough to hold up to the big v8 engine. 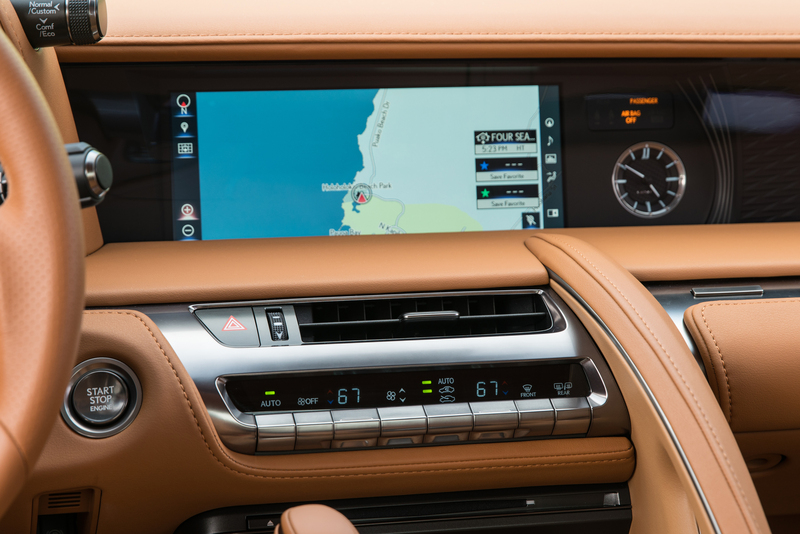 Lexus did put their older 5.0 in front of it in the LS600h, but it was pretty severely de-tuned in the sense that it wouldn't allow the V8 to rev to its upper range until 60mph or later. If the new hybrid trans can take the v8 it would make for a pretty interesting LC-F. Something like 530hp and around 600 peak torque, if it wasn't detuned for one reason or another. I seem to recall that the 4-speed with a CVT trans setup didn't work that well in the RC-F, being frustratingly slow to shift. 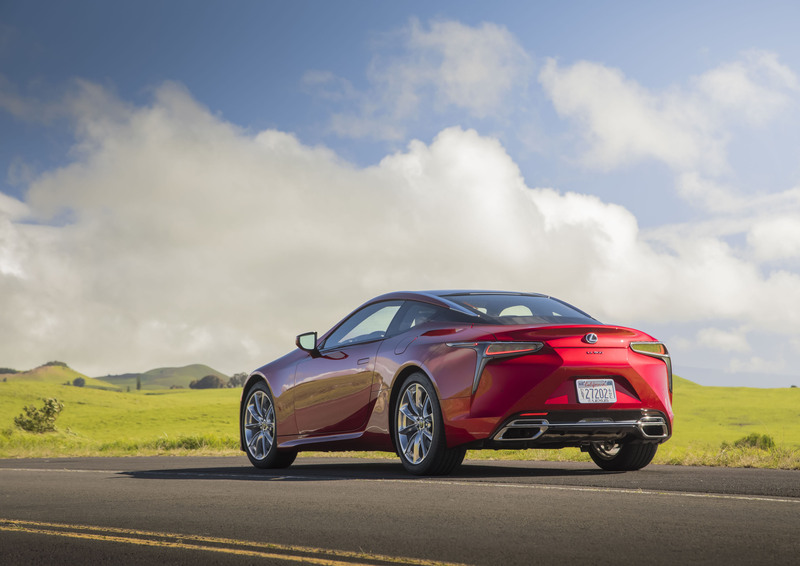 The hybrid 10 spd hasn't been used outside of the LC500h yet. Even if they use it on the GS450h it might elevate that back onto my 'list' since that would make the current one actually faster than the one i used to have. I'm counting down the days to January 1, 2039 when the cars will have depreciated enough for me to afford one. Okay, that's cool. Thanks for sharing. And, yeah, that 10-speed is smooooth. I know that we all like to row our own, but it's a darn fine alternative. I was never really a GT-type person either. Although as I get older and priorities change (just turned 37), the idea of something that is luxurious, fast, nice looking is appealing. As much as I miss doing track days/HPDE, I just don't see myself building a dedicated car for it again. Nor the investment of time and money to keep one safely performing well. Is it available with a M/T? Not for a $92,000 price point, there isn't. So David, what was the main difference between the 10 speed in the LC vs the one in the RC F? I figured it would be the same box. 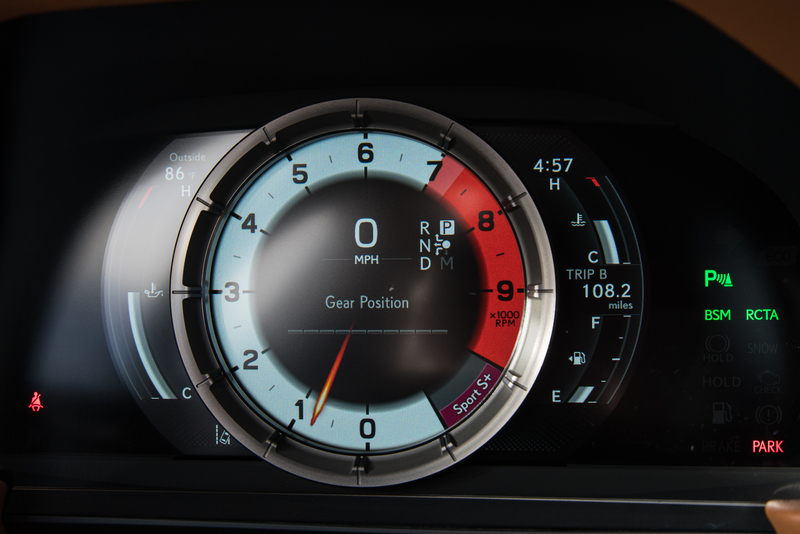 The RC-F has an 8 speed transmission. Probably more or less the same one that was generally liked in the IS-F over 10 years ago. I work with someone who had a red RC and coupe and dang that is a nice looking car. If it takes several years to downshift, I am not sure how that can be jerky. Odd. 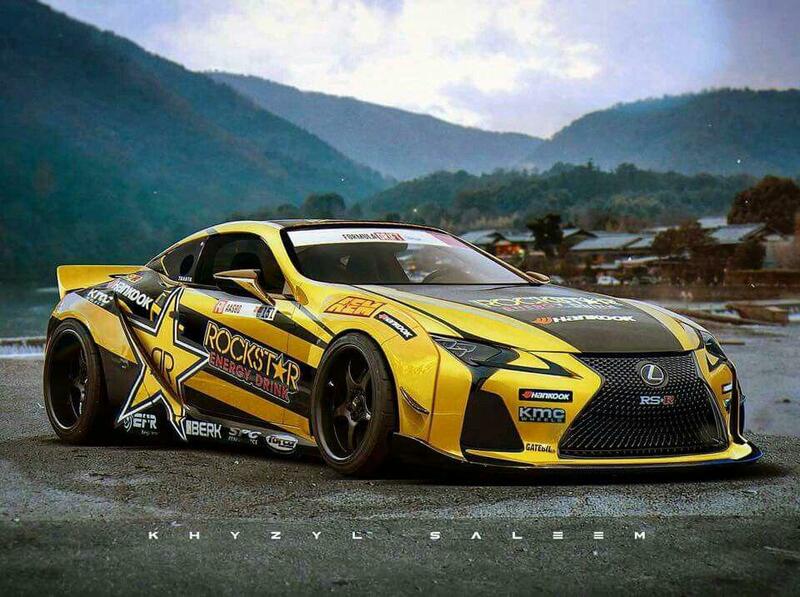 I have to give Lexus credit for the noise their V8s make, however. 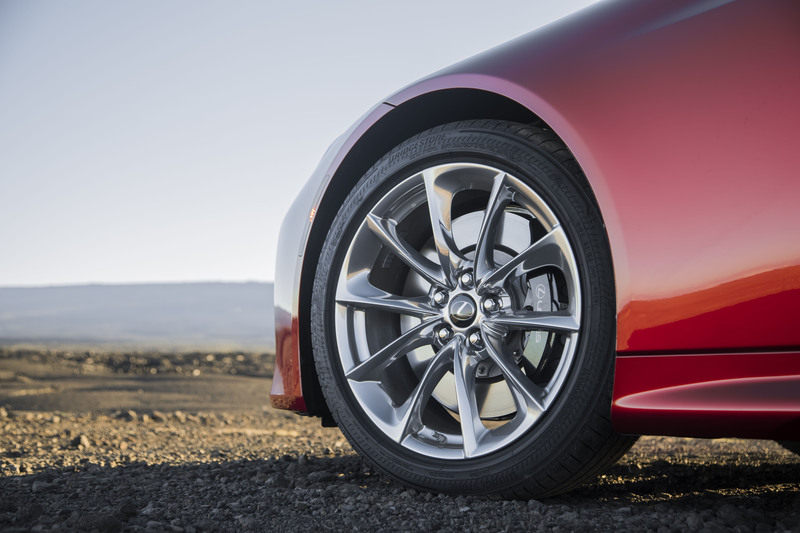 As staid as Lexus is, their sporty V8's have an old-school growl that is just awesome. I hate Toyota...I hate Lexus. I love the LC500(and LFA!). This is the actual successor to the Supra(note side view/interior).